S&ME was tired of poor audio quality of Skype for Business calls in mid-sized meeting and training rooms. They were looking for a reliable and cost efficient solution to replace the existing conferencing system. Sennheiser TeamConnect Wireless conference system was recommended to S&ME – which improved the audio quality over Skype for Business fourfold and made them experience meetings in a completely different way. "The ease of use and true portability of the TeamConnect Wireless will be factors that yield a lot of value for us. We have struggled to get good audio with our larger rooms and this system should make me a rock star with management." Successful meetings, satisfied users and a CEO with nothing but praise - S&ME is an American engineering company which has gained good experience with Sennheiser's portable Teamconnect Wireless Conference system. 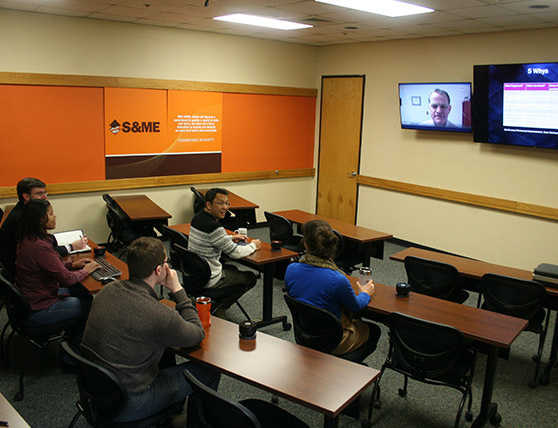 S&ME uses the RedDot design award-winning solution mainly for medium-sized online meetings. The company, based in Raleigh/North Carolina, even realises deployment scenarios not envisioned by the product developers in Germany. Profile S&ME delivers engineering, design, planning, environmental, and construction services for the built environment. At the end of the day, there's only one thing that counts for Chris Headley: "We have more meeting success than before." That's the priority for the technical director of the company with a workforce of 1,200. S&ME employees understand each other better and their joint efforts generate better results. "Communications is extremely important for our success and that's why we don't cut costs where communication quality is concerned," says Chris. 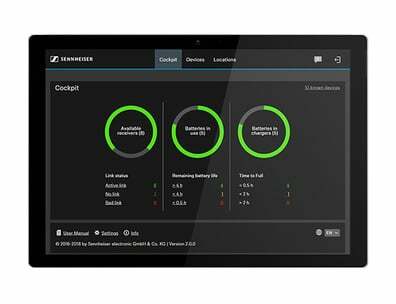 Teamconnect Wireless is Sennheiser's new out-of-the-box portable wireless conference system and it has helped S&ME raise the quality bar to a new level at online meetings. "The number of online meetings in our company has flipped in recent years." Since the introduction of "Skype for Business", online meetings have grown by almost 80 percent, is Chris Headley's estimate. S&ME even uses video telephony via IP for one-to-one communications between its various sites. And the company's demand for communications is not low: S&ME operates 36 offices in the United States and also executes many projects throughout the country - from industrial plants, to reservoir dams and hospitals. Regular acquisitions mean S&ME is expanding rapidly. For many years the audio and video conferences organised by this engineering firm suffered from poor audio quality. It was often the case that only those participants at the meeting who were sitting near a microphone could be easily understood. If a meeting had more than half a dozen participants, the incoming signal was also often difficult to understand, reports Chris Headley. Although webcams with integrated microphones are often sufficient for meetings organised in smaller rooms there was an urgent need of a solution for mid-size-meeting rooms with up to 25 participants, says Mr. Headley. Even Randy Neuhaus, the company's President and CEO, demanded a viable solution: "We have to solve the audio issue. "Chris Headley searched but could not find an acceptable solution. Only systems available in the professional AV sector were moving in the right direction, but were not suitable for S&ME: The systems were hard wired, i.e. non-mobile, complicated to use and too expensive. "The market simply had nothing suitable." At an AV conference organised by his AV service provider, Whitlock, Chris then met a Sennheiser representative who showed him their new Teamconnect Wireless (TCW) mobile conference solution. "That was exactly what I was looking for," says Chris Headley. He was absolutely convinced of product performance while the Sennheiser brand also left him with a good impression, because S&ME had been using Sennheiser's clip-on lavalier microphones for a number of years. Headley: "Reputation was there." The chance to try the Teamconnect Wireless system for several weeks at the company premises without any obligation ultimately simplified the decision to go for the new product. "The demo option underpinned the security of the investment." Headley decided to purchase the Teamconnect Wireless case set with four satellites for up to 24 participants.Since then the product "Made in Germany" has been used by S&ME at for e.g. committee meetings. A member of the IT department brings the set to the meeting rooms and connects the satellites with the PC, notebook, tablet or Smartphone. "That takes about between 30 and 60 seconds and really is very easy," emphasises Headley. Although his department is still tasked with set administration, he doesn't exclude that future users will actually set up and connect the set themselves. "Anyone can do it." To date, Teamconnect Wireless has been totally persuasive, says Chris Headley. Incoming signals can be heard better and all participants present can understand everything much better at their end of the line. Having a capacity of up to six participants per satellite, means that even larger meetings can be handled easily. The combination of Teamconnect Wireless and a mobile telephone also works, says the technology director. Chris Headley: "TCW even improves the audio quality of cell phones." Chris Headley says: "It does not matter where a product is produced," but the fact that the Teamconnect Wireless is made in Germany is obvious when you look at the quality of the engineering. It becomes very apparent when you hold a product in your hand. The good design and nice finish both leave a good impression. It feels solid and full of quality." The transport and charging case are well thought out. Chris also likes the fact that the satellites turn off automatically when placed in the case and that the case always provides a display of battery charge level. Unlike some other products, the TCW satellite transport cases are designed not only for simple removal from the case, but also simple replacing back into the case. Thus far, Teamconnect Wireless has only been deployed at the company's HQ in Raleigh, but the technology director is planning to buy more cases, including the new set with two satellites for smaller meeting rooms. And S&ME's head of IT has also come up with a new deployment scenario for the audio solution. An app turns the TCW plus Smartphone combination into a small PA system - for example if a spontaneous speech requires amplification. They actually used the set at the S&ME Christmas party: Chris distributed the satellites in a number of rooms and used them to stream Christmas music. "An application scenario which the developers in Germany probably did not think of," says the head of IT with a smile.